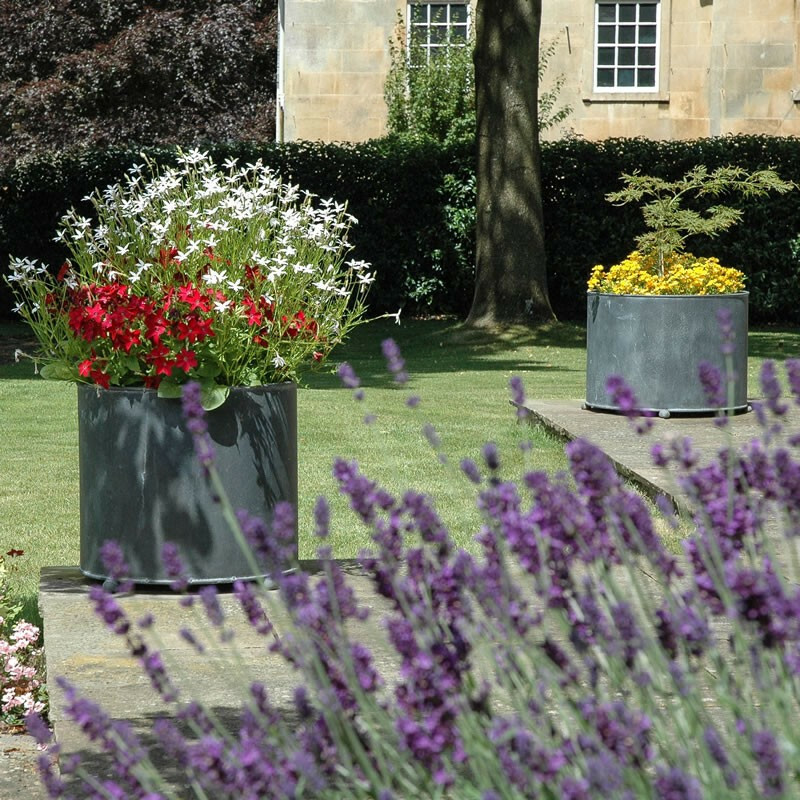 Our new square metal planters and garden troughs complement our popular circular steel planters. 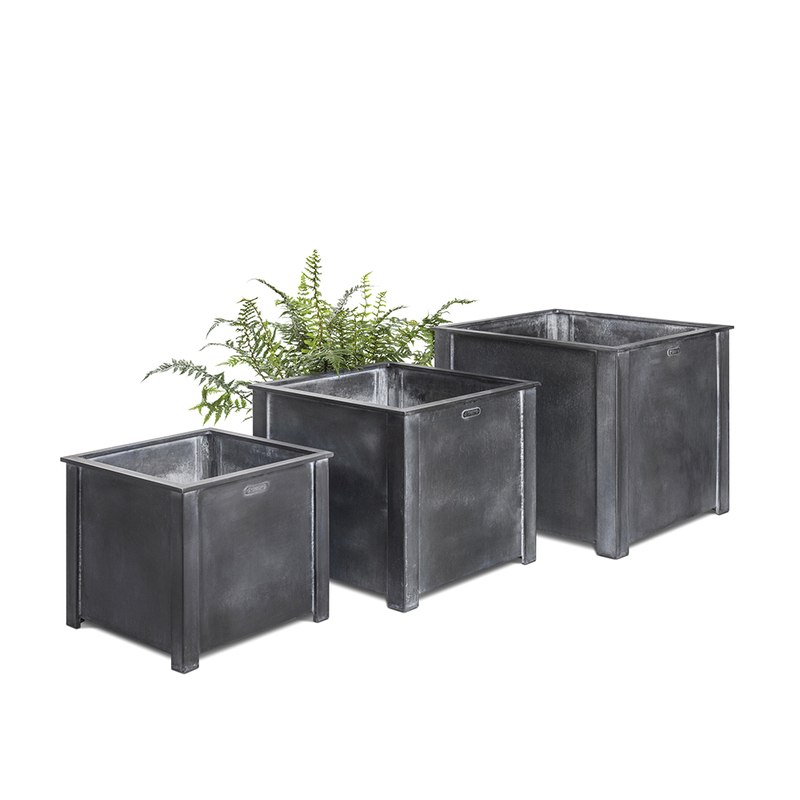 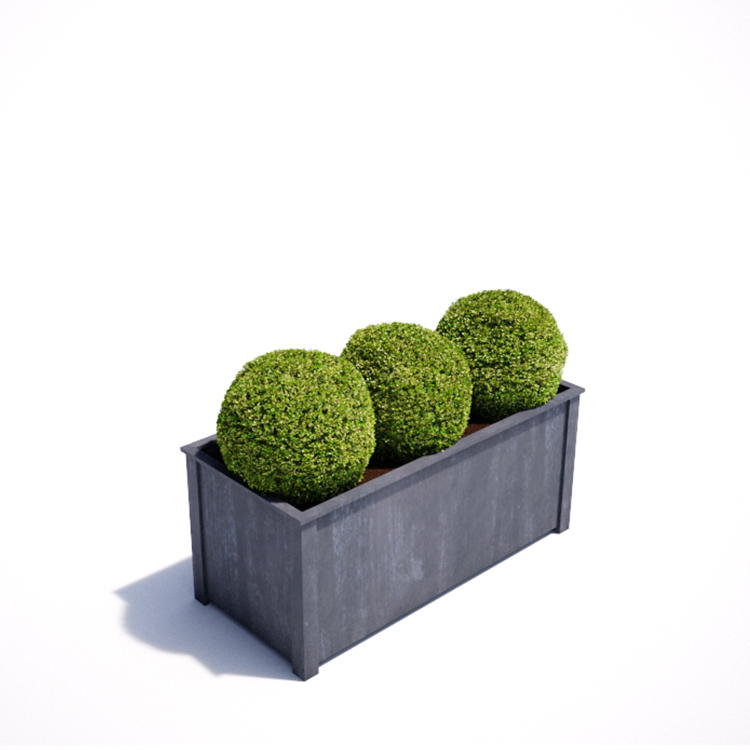 The zinc galvanized steel garden planters are designed for exterior use. 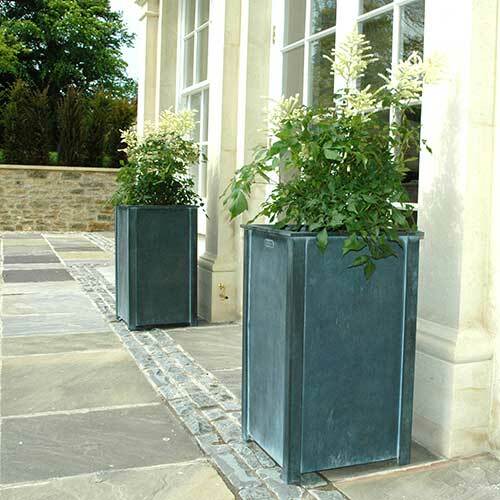 Bespoke planters also available. 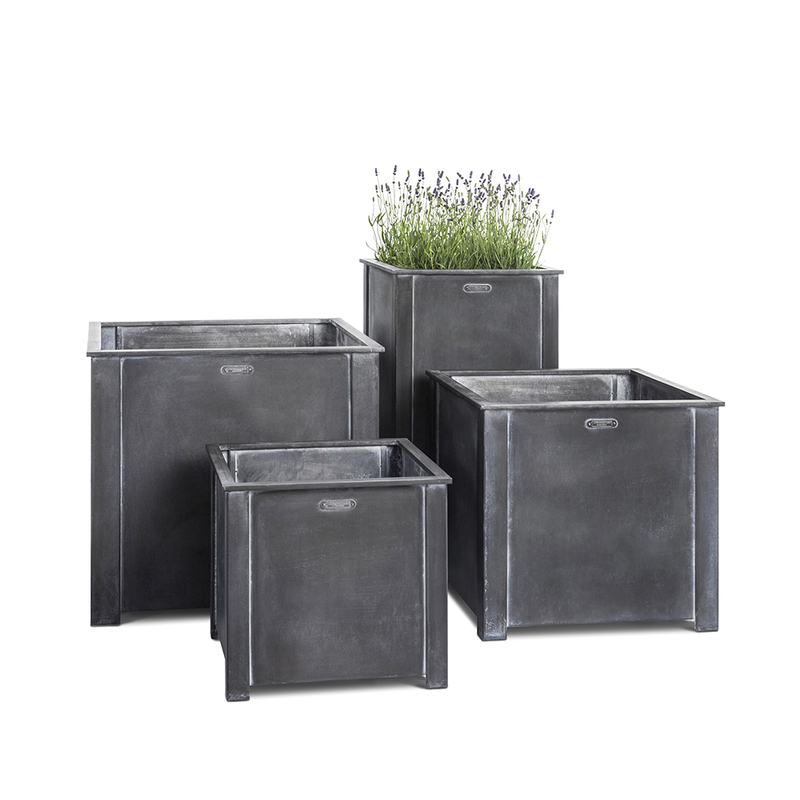 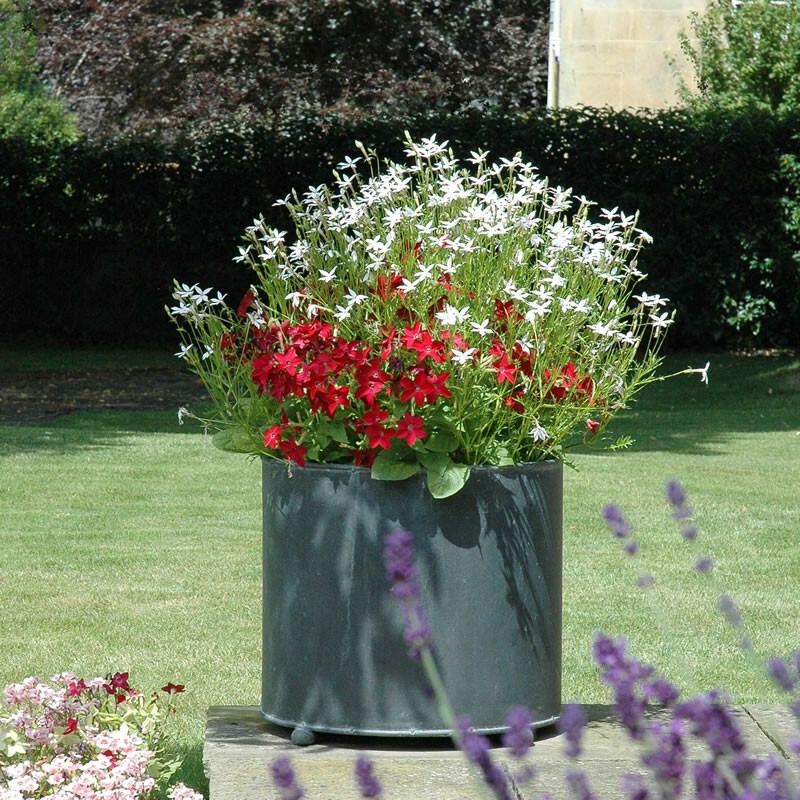 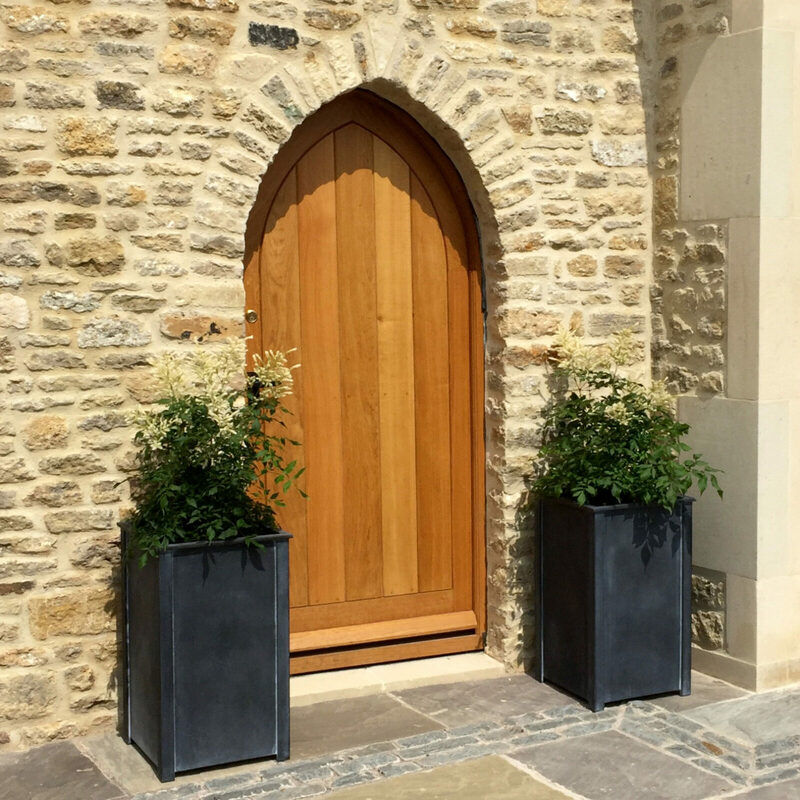 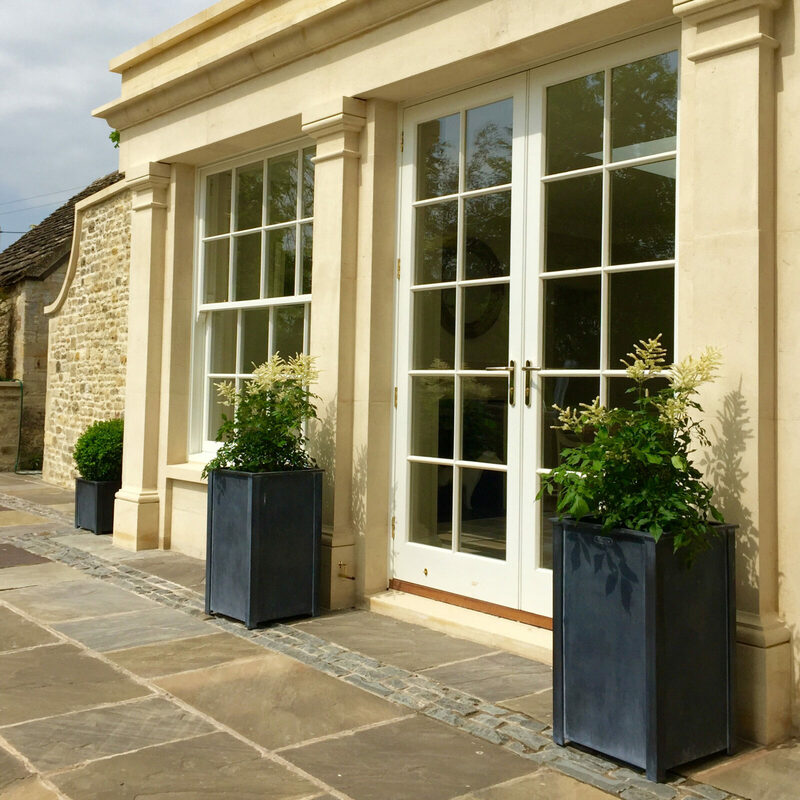 Our round zinc galvanized planters have drainage holes and raised feet for added stability, and large enough for the most sumptuous displays. 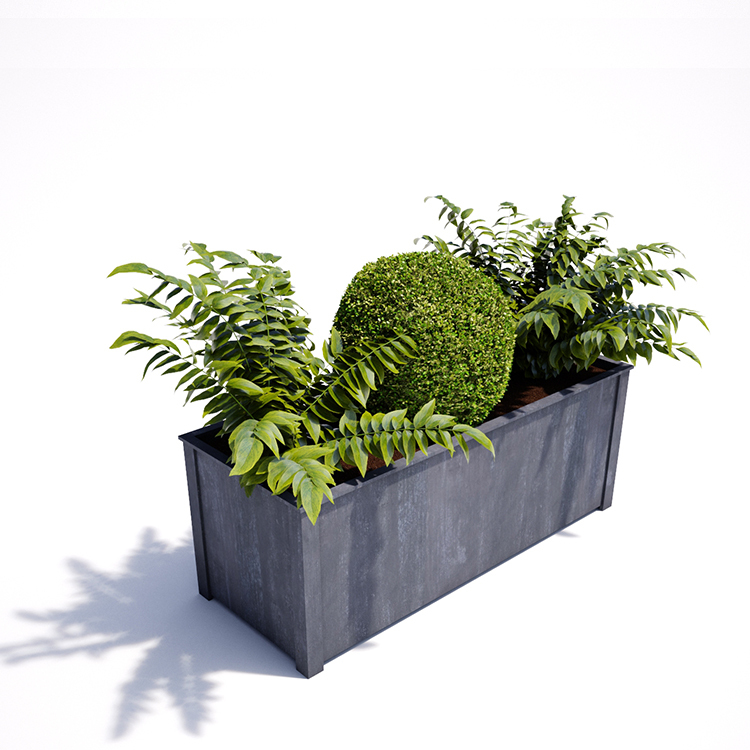 A superior square planter designed for external use. A raised base, substantial corner legs for stability and an elegant top for easy lifting. 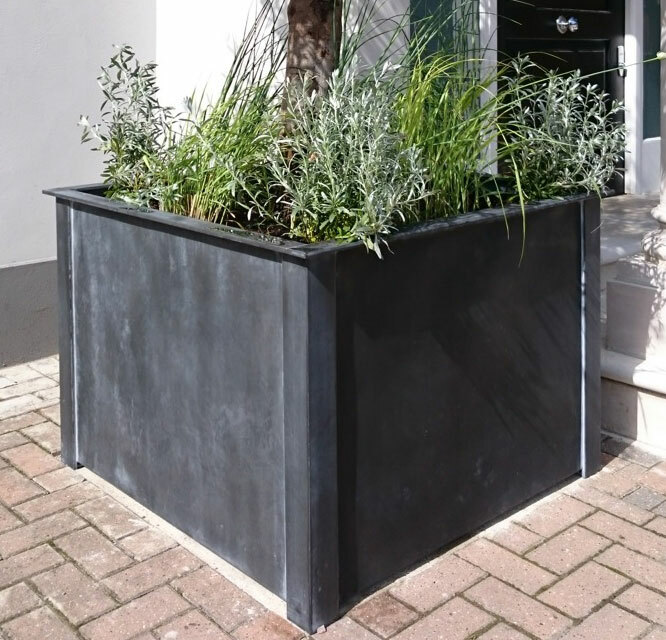 A garden trough is ideal for large plant displays or mature hedging for instant screening – perfect for balconies or roof terraces. 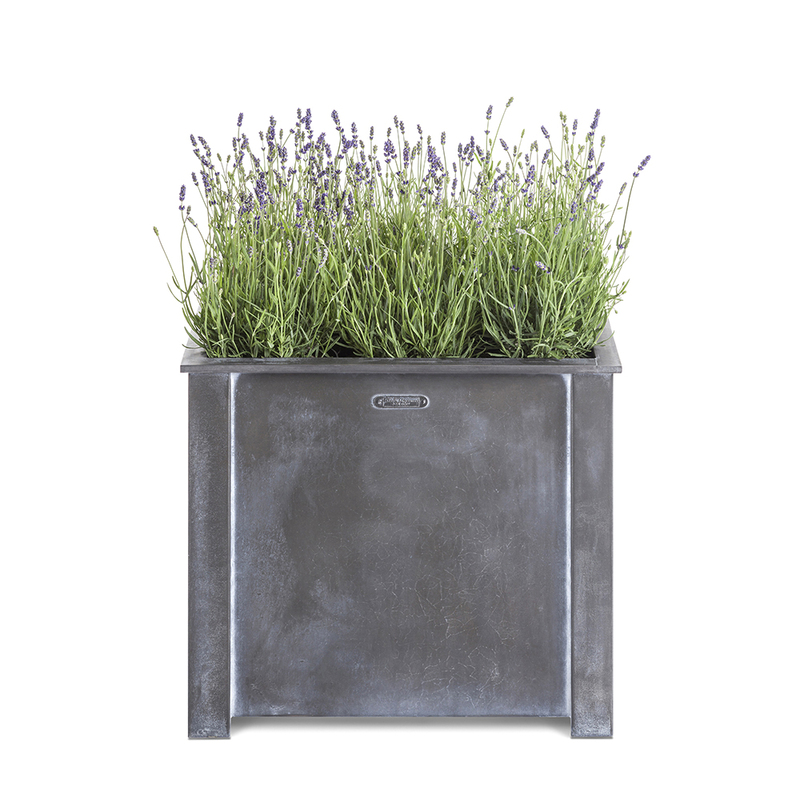 A zinc galvanized steel planter designed with drainage holes and raised feet. 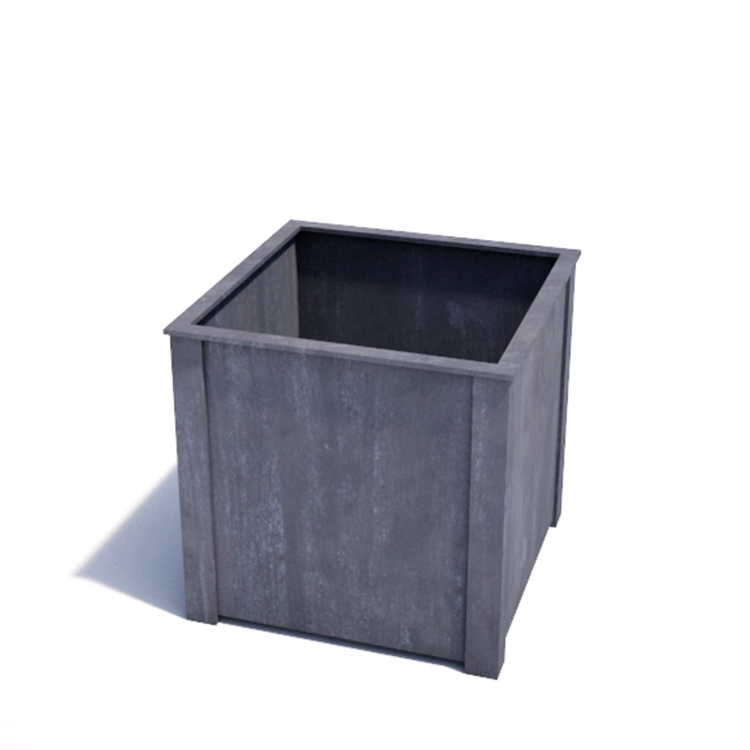 A large round galvanized steel planter with drainage holes and raised feet. 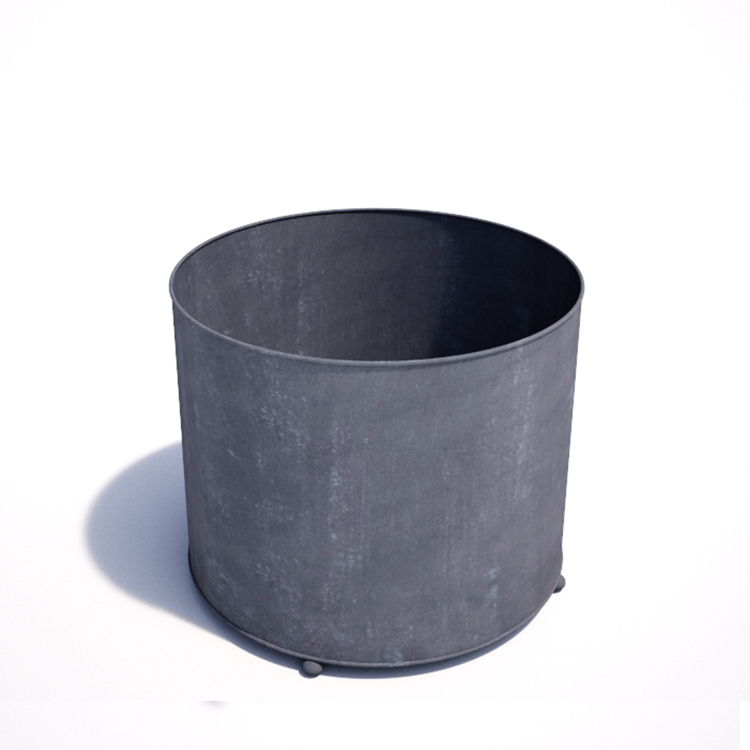 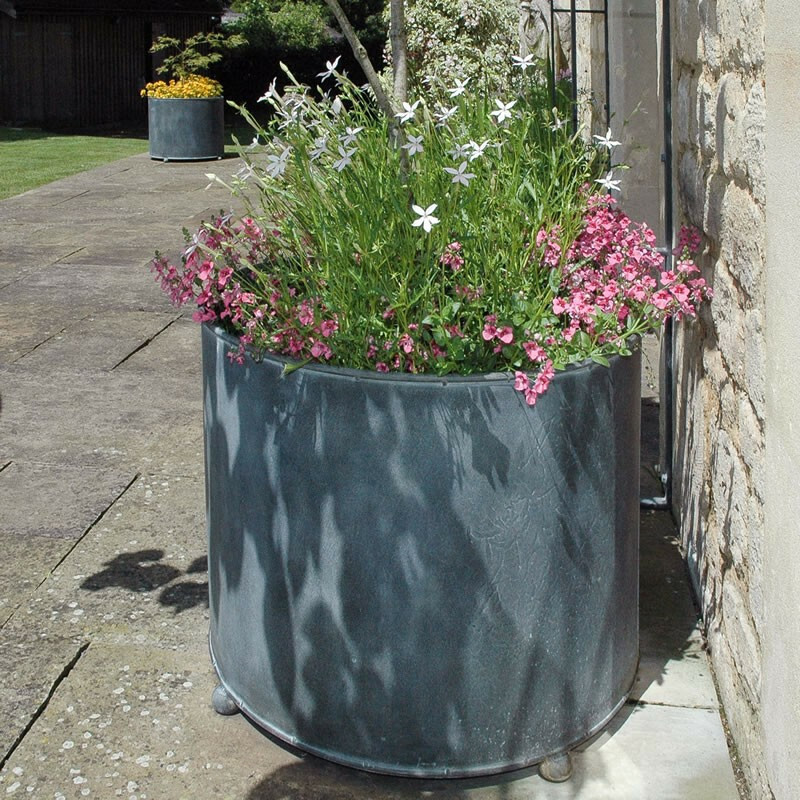 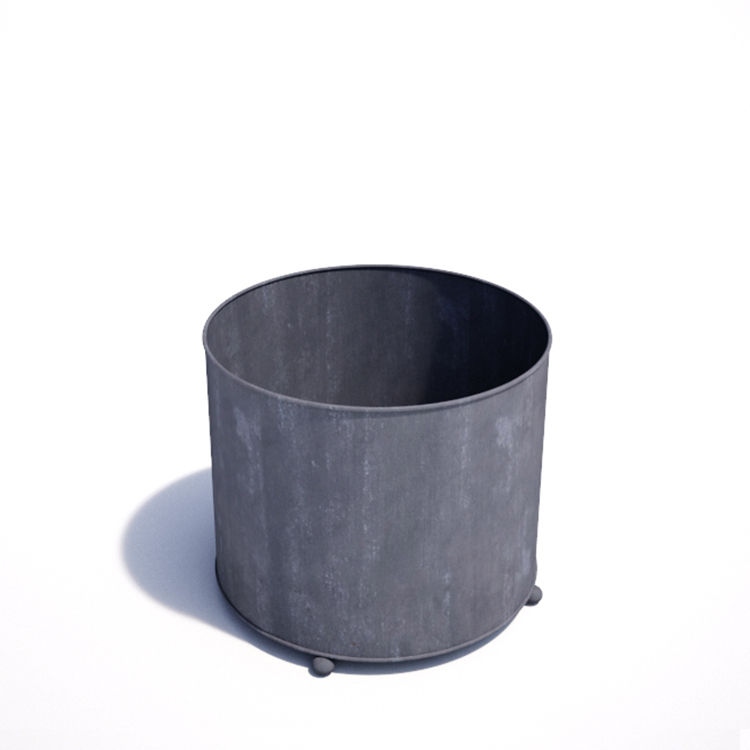 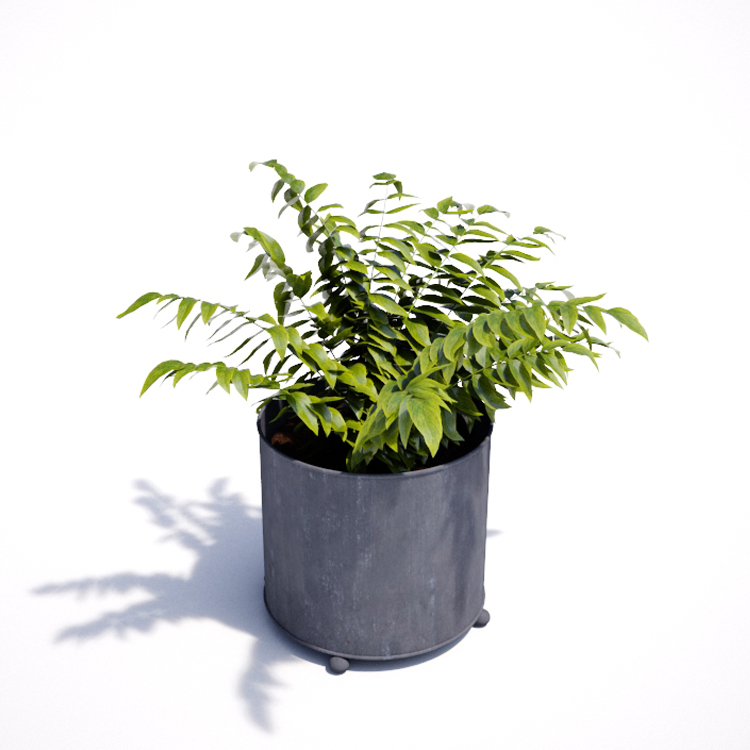 This extra large circular steel planter is ideal for large shrubs and small trees. 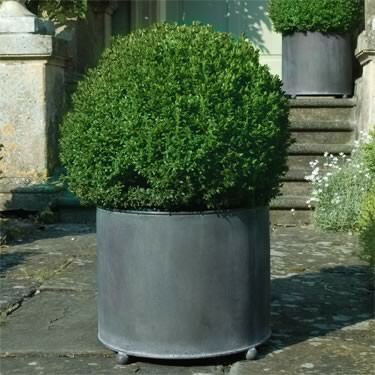 This tall round metal planter is perfect for flanking a doorway with bay trees. 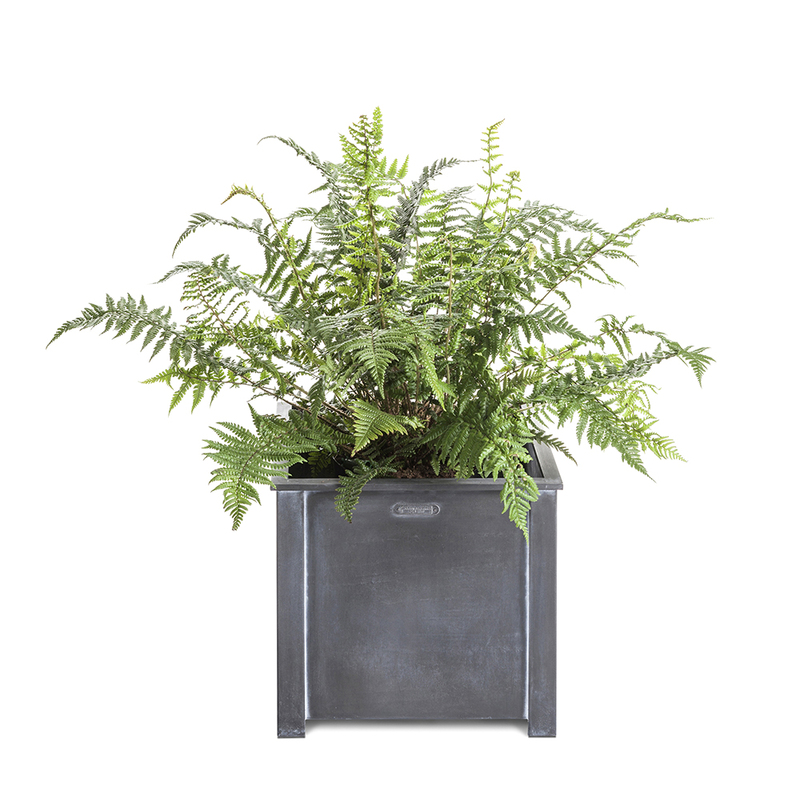 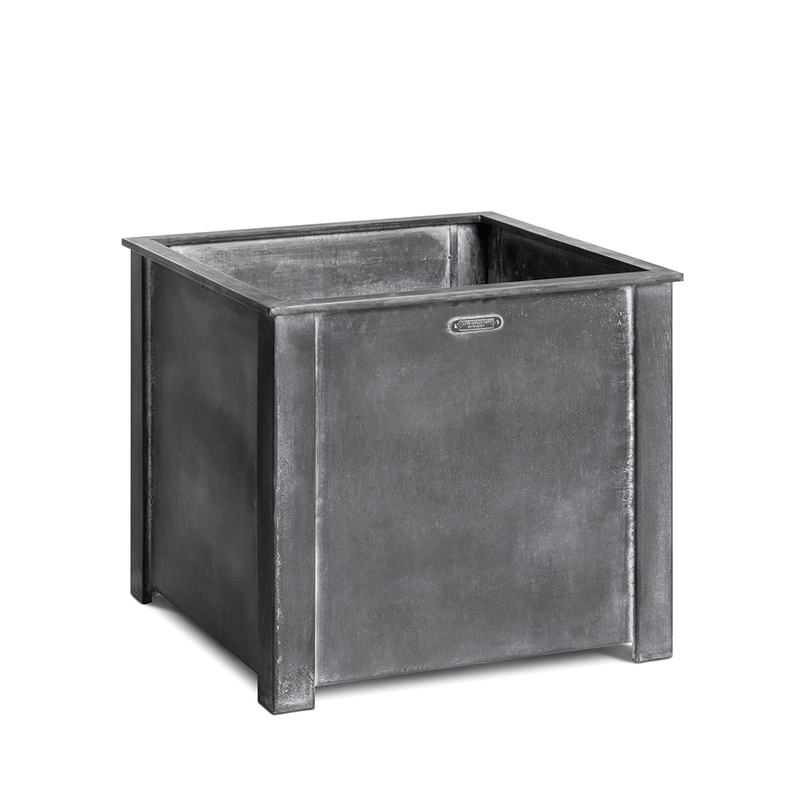 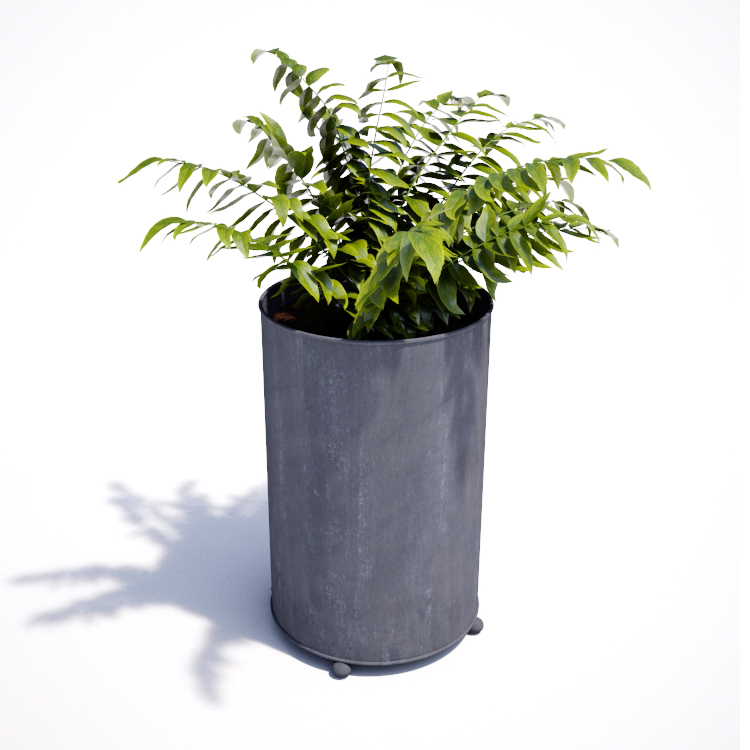 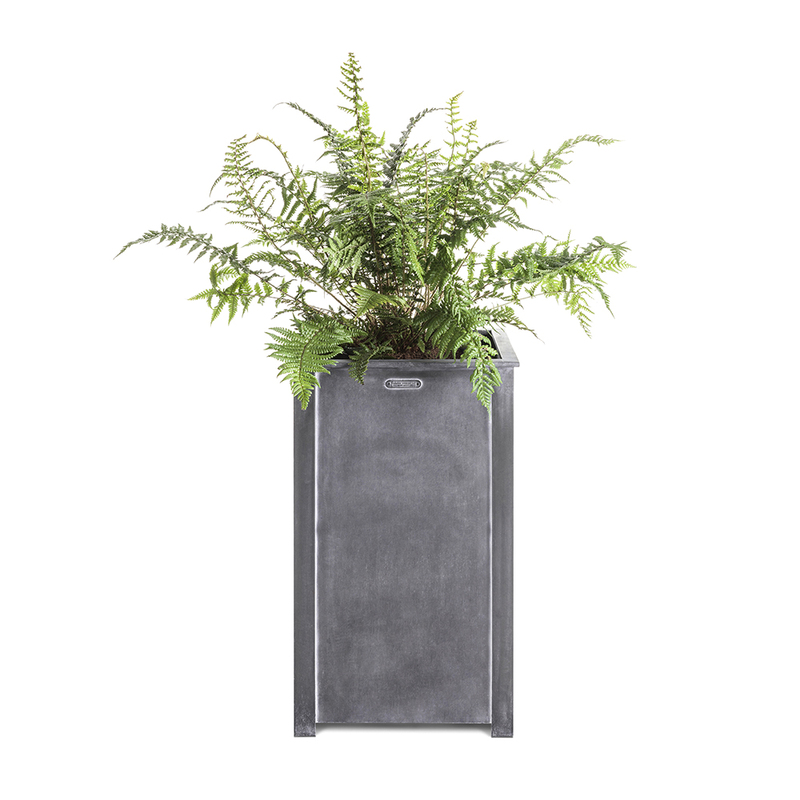 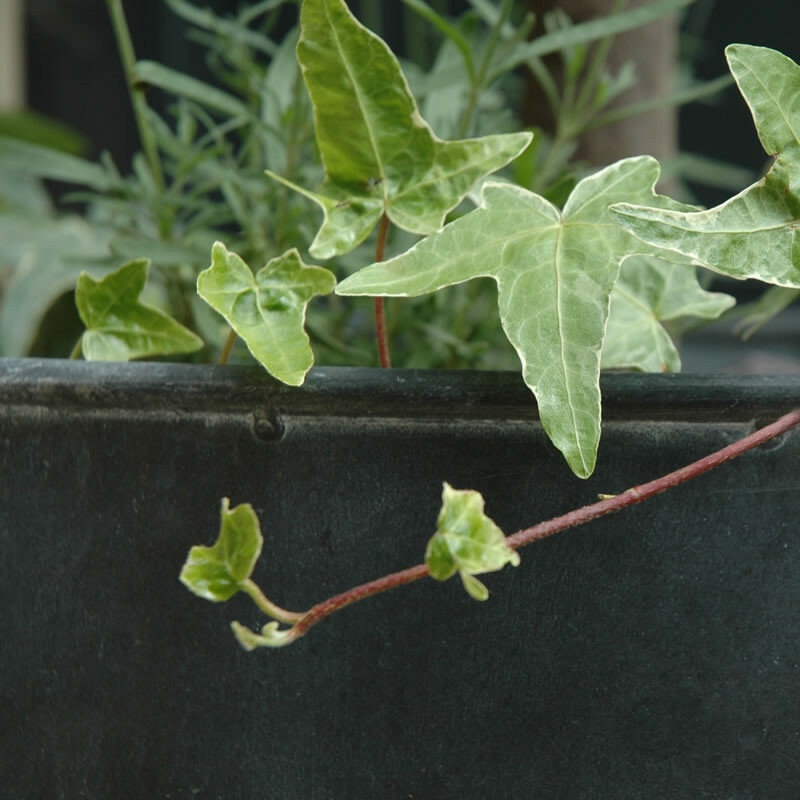 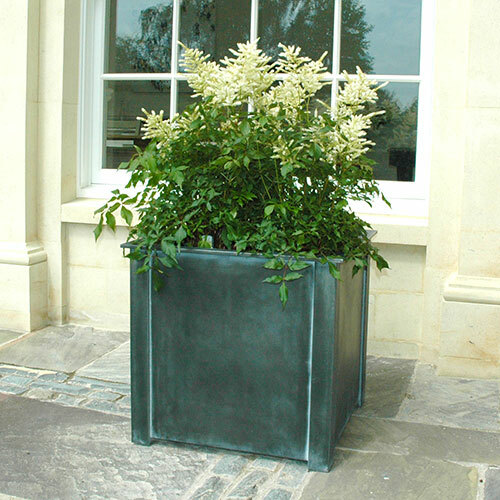 This zinc galvanized square planter has a raised base and strong corner legs. 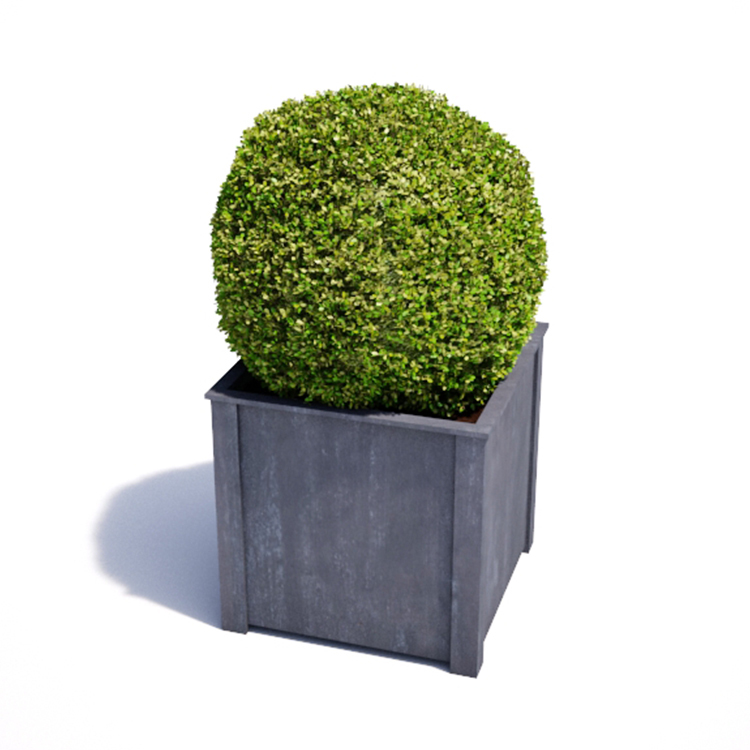 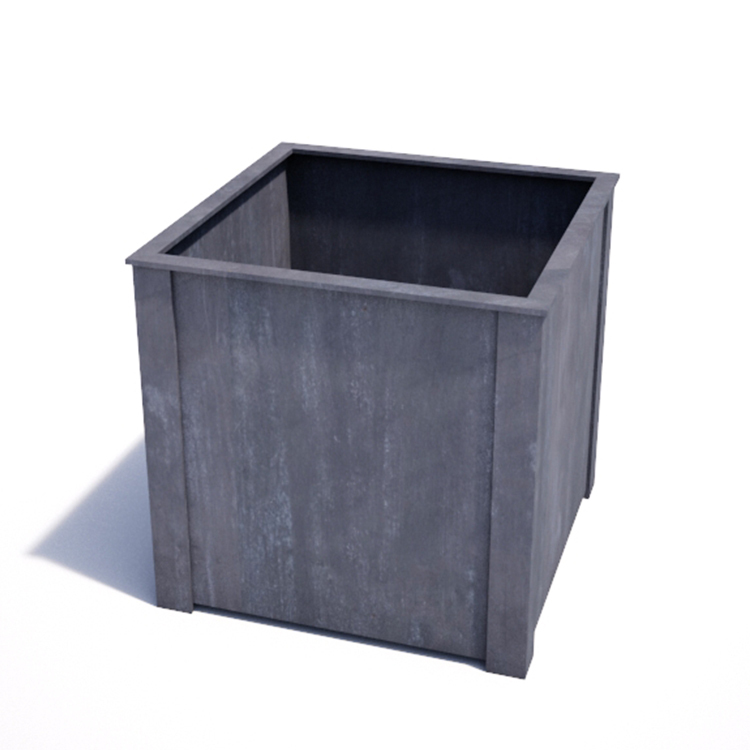 This large square planter has a welded steel construction for extra strength. 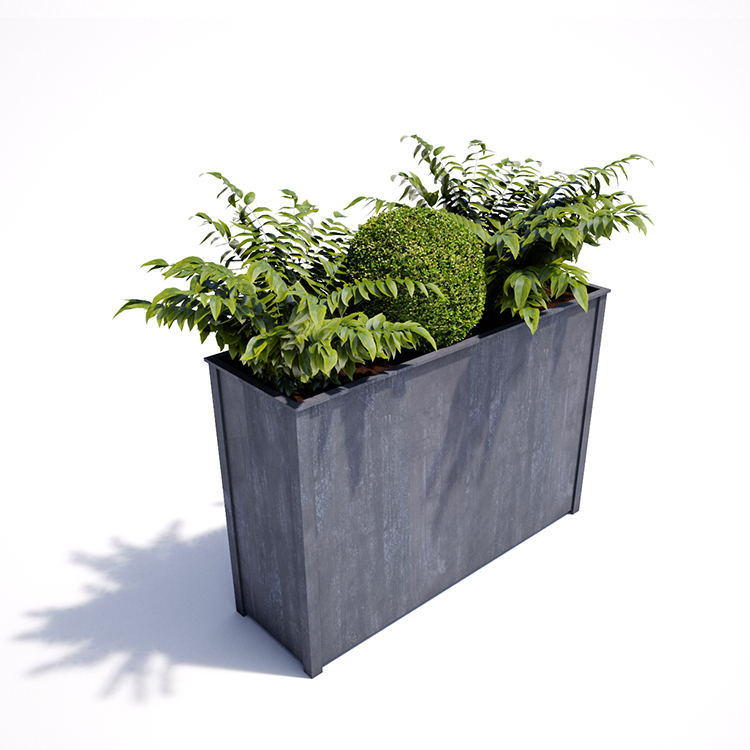 This extra large steel planter for outdoors is the perfect solution for big plants. 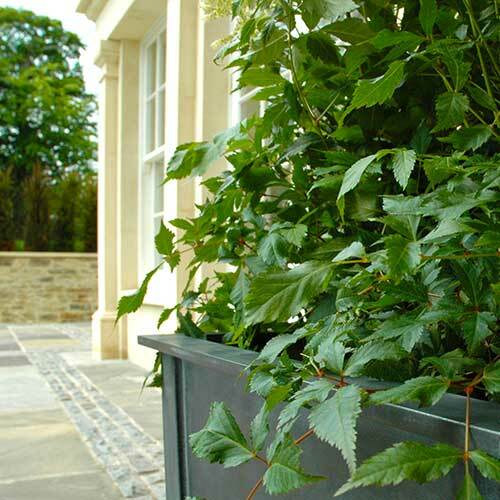 This enormous planter is the perfect size for specimen trees or extra large displays. 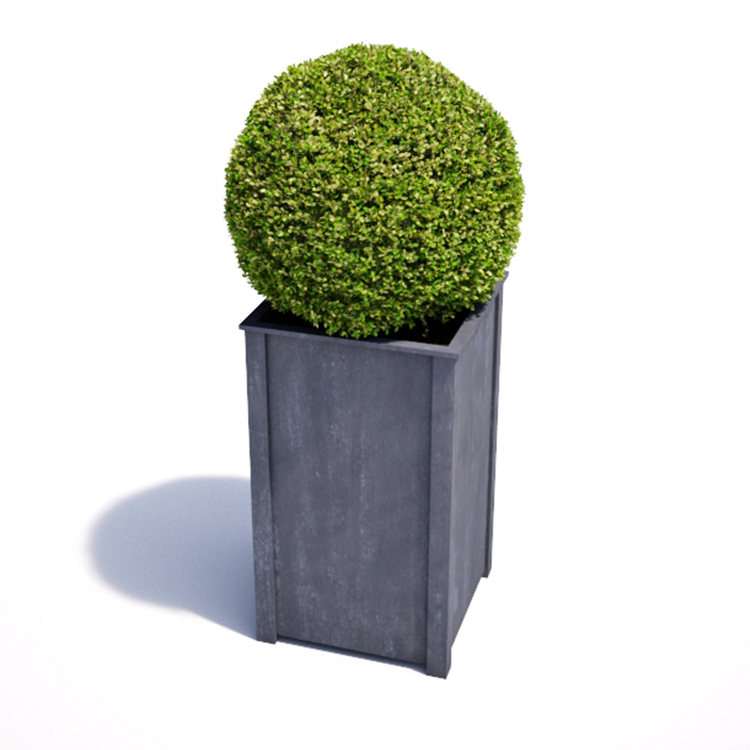 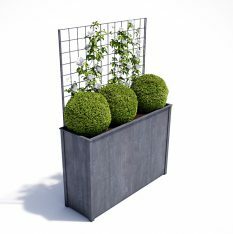 This tall square planter is made from solid steel and zinc galvanized. 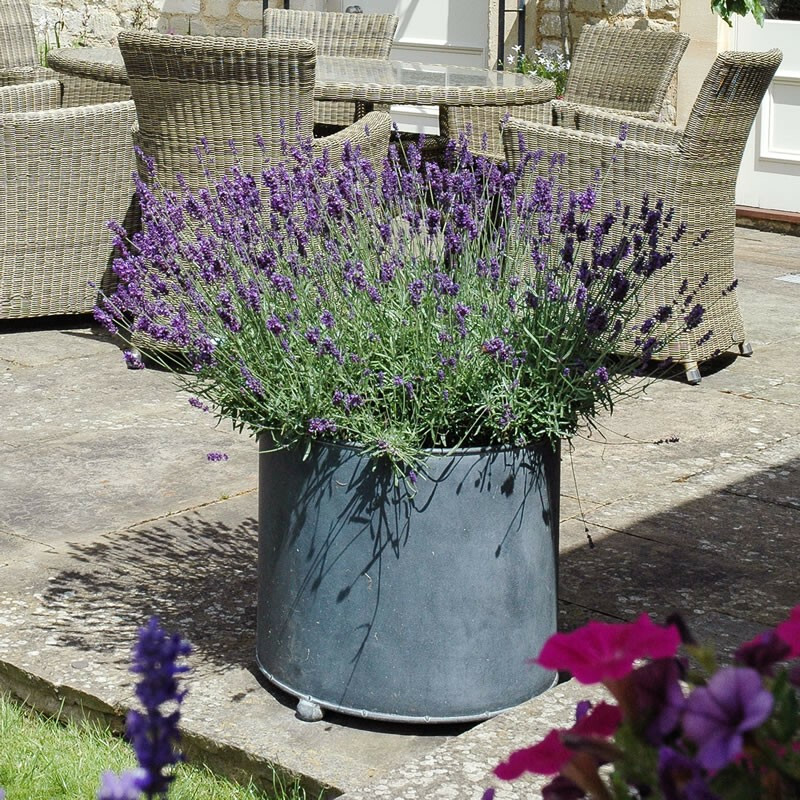 A zinc galvanized steel trough suitable for most terrace and garden settings. 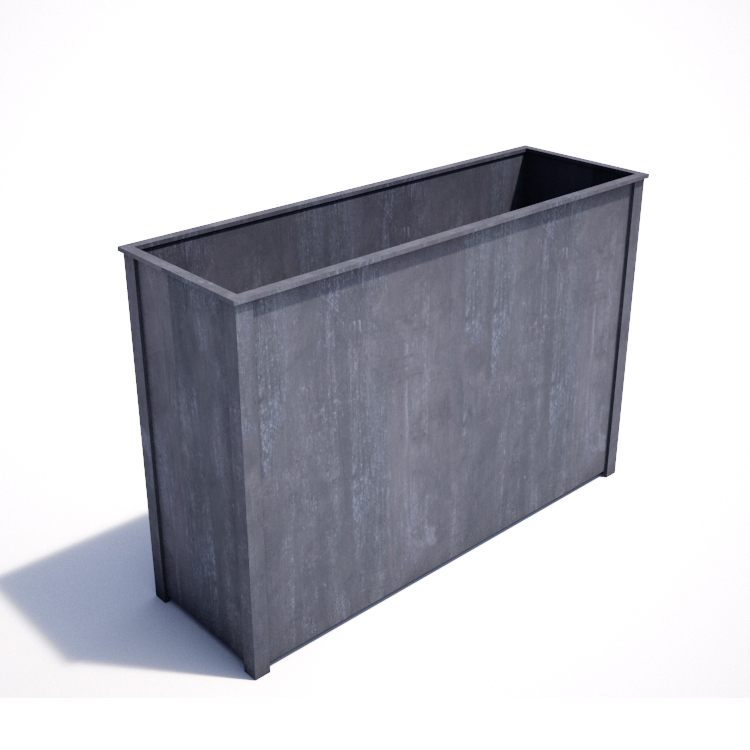 A large garden trough for use with larger shrubs or exterior planting displays. 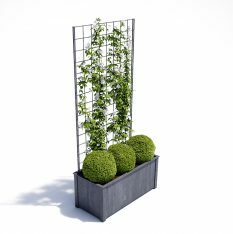 An ideal tall steel trough for creating a screen or barrier with instant hedging. 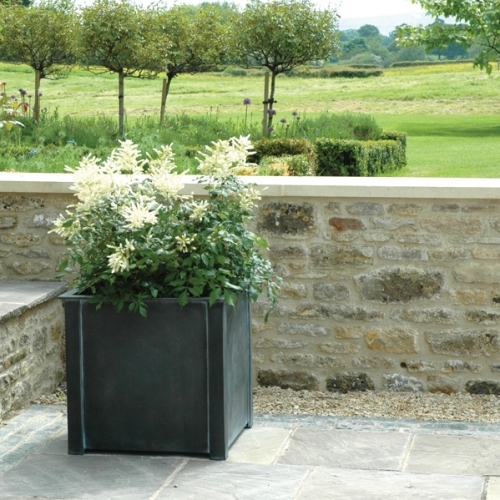 A large tall planter trough for external use with mature plants for privacy. 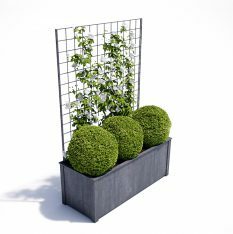 Create instant screening with our square or diamond metal trellis panels. 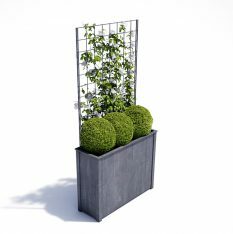 The ideal solution for stand alone trellis panels and planters for privacy. 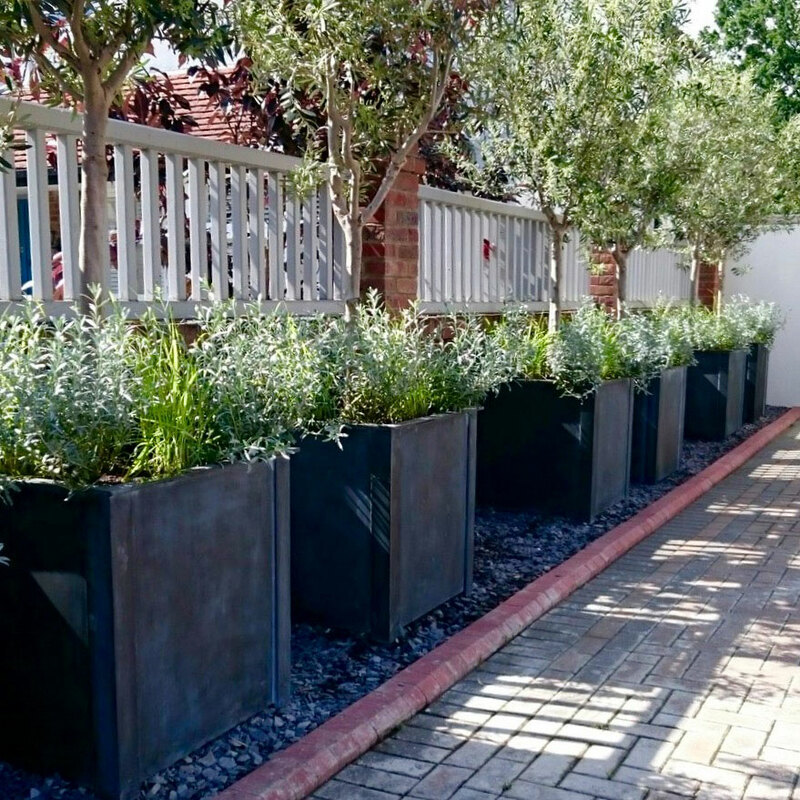 Taller trough but shallower depth when outdoor space is at a premium. 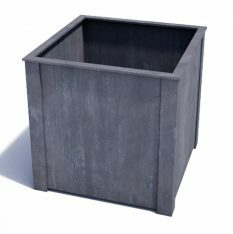 A larger planter trough with trellis to provide instant support for climbers.